Airporttransfer Munich Alpines Museum, Airporttransfer Alpines Museum Munich, all Details with Rate, Map, Description, Duration. Here you will find all the details for this airport transfer. Displayed prices are valid for a one way trip to or from the destination. 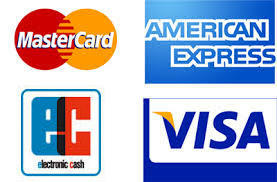 We accept all major credit cards and debit cards, as well as cash. Corporate clients and frequent travellers can conveniently pay for their trips by monthly payment. Effective from 2019-03-01, the city council of Munich launched a new taxi-tariff. This tariff is adapted to the higher expenses in the taxi market and the increased living costs. From 2019-03-01 on, all new rates are fixed in the "price lists" and the "taxifare calculator". Currently we are looking for a dedicated, team-capable taxi driver, who as a solo driver mainly covers the afternoon and evening hours until midnight! Call us immediately!